Bournemouth Rugby Football Club are celebrating their 125th anniversary this year and being sponsored by a local business. Bournemouth Rugby Football Club, who are celebrating their 125th anniversary this year, are also celebrating being sponsored by a local home improvement company this season. 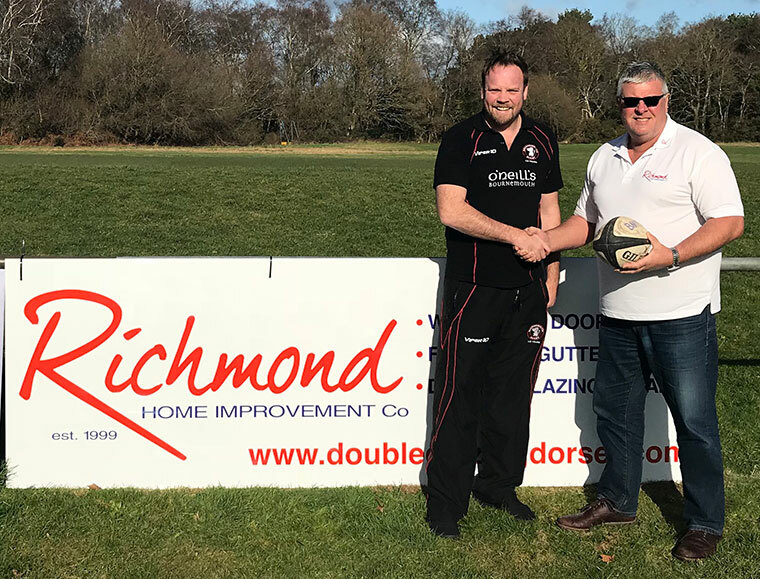 Allan Tofield of Richmond Home Improvement Company said, “We are proud of our local team and it’s an honour for Richmond to be supporting them as they romp up the South West Premier League table. We enjoy their corporate hospitality prior to each home game and the food is great. The small point that the Lions are currently second in the division having picked up 10 bonus points already this season also adds to the feelgood factor. ”Their success is due to teamwork. A business is the same, as everyone needs to be a team player and trust in one another”. James Croker, CEO of Bournemouth Rugby, said, ”Its not just the players and the facilities, it’s also thanks to community sponsors and supporters such as Richmond that Bournemouth Rugby FC continues to flourish and be the success it is”. “We are a pioneering Sports Club with a fully inclusive approach to performance, partnerships and community, encouraging good practice whilst remaining relevant and progressive. James Croker adds that they welcome the wonderful diversity that the town offers. From varying interests, motivation and aspiration, the team endeavours to meet their obligations to the wider community and for that, trust, respect and teamwork are essential.